In this issue of Apex Magazine, Mr. Hines graciously shares with us a reprint of “The Creature in Your Neighborhood.” If you have never heard him read this story aloud, make certain to try to catch it at a future convention or reading near you! No one does terrified Muppet voices better than Jim C. Hines. APEX MAGAZINE: What inspired you to write this hilariously dark Muppet story? JIM C. HINES: I’ve found that deadlines can be quite inspirational. I was writing for Esther Friesner’s anthology Strip Mauled, a humorous collection of werewolf stories, and I was searching for something different and fun. I had a few possibilities, but nothing felt right. I mean, this was Esther Friesner, the Queen of Humor and Snark. AM: You’ve said in other interviews that this is your favorite story to read aloud — and having heard it read aloud this past year at Mo*Con, I can see why! When did you discover you could do such hilarious Muppet voices? JH: Thank you! I’m obviously not even close to being a professional voice actor, but I think the biggest thing was just jumping in and having fun, and not worrying if I sounded ridiculous. If you’re going to do these kinds of voices, you’ve got to commit to the silliness! AM: You wrote this tale in a faux–script style, which lends itself very well to the “Sesame Street”–esque feel. For this story, did you know from the start that you’d write it as a script? Where there any special challenges that arose in writing the script–style verses writing a prose–style story? JH: I pretty much knew I wanted to try doing this one as a script. But I had never written a script before in my life, so I spent some of the first day downloading different scripts and studying the format, then trying to simplify it into something that wouldn’t make the typesetters hate me too much. AM: Do you have a particularly favorite character or scene in this piece? JH: The “Rolly’s Room” bit was especially fun. I’m fond of Rainbow, too. AM: You’ve mentioned that you’re an avid outliner when it comes to your longer fiction. How long you do plan/think/prepare before starting to write a novel? At what point do you tell yourself to stop planning and start writing? JH: As with so many other things, it depends. I might spend weeks or months thinking about an idea before I write the first outline. I’ve got a middle–grade novel waiting impatiently in the back of my mind for me to have time to write it. Once I start outlining, I try not to spend more than a week planning out the details, because I know I’m going to end up breaking the outline and having to redo it anyway. But I can’t write without that outline to help me keep track of the larger structure of the book. My brain’s not big enough to hold onto that without help. AM: What is your rewrite process like? In the past, you’ve described your initial draft like the rough sketch of a painting, which you fill in later with detail and precision. How do you approach a second, third, fourth draft? Have you come across any particular challenges that arise from working this way? Any particular challenges this method solves for you that another method might not? JH: With Unbound, my first draft was just under 50,000 words. The draft I sent to my editor was more than 100,000. With my first draft, I’m trying to get the broad shape of the novel. It’s like the part of my brain that works through plotting and overall story refuses to work with the part that does all the detail work. That first draft puts the studs in place. The rest add walls and a roof, and bring in the furnishings. I might knock out a wall or build an addition, but at that point I’m working with the same basic framework. I don’t know that this has caused any particular problems. Like most writers I know, I’d love to be able to get everything right the first time, but the process doesn’t work that way. Fortunately, the only draft that counts is the final one. AM: Humor is often a tricky thing for authors to pull off in their fiction, especially for authors just starting out. Given that you incorporate humor so well into your novels (particularly, I’m thinking here, the overt jokes in the Goblin series, and the snark of the Princess series) Do you have any advice for those who would like to incorporate humor into their fiction, any pitfalls to beware of? JM: Humor is a skill, just like anything else. It takes practice, even study. And no matter how good you get, your jokes aren’t going to work for everyone, so you’d better make sure there’s more to your story than just the jokes. Another piece of advice I’ve heard and endorse is to punch up, not down. Humor’s a powerful tool, and it can be used to challenge people’s assumptions and to criticize. It’s one thing to criticize people and institutions with power. It’s another to target those who are weaker than you. AM: So far, all of your novels have been part of a series of three or more books. Did you know when you started Goblin Quest or The Stepsister Scheme that you were going write a series of books? Being bound by previous fictional canon can sometimes restrict an author, when certain possibilities are ruled out by the happenings in an earlier book. Was there any instance while writing the Jig or the Princess books, or your Magic ex Libris series, that you thought: Oh, crap, that’d be cool to do, but…? 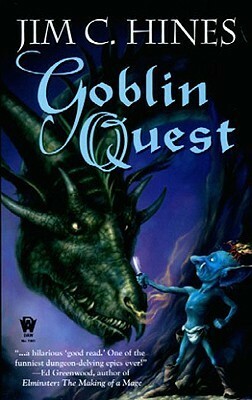 JM: Goblin Quest was originally written as a standalone, but after a rather depressing Publishing Tale of Woe™ my agent and I found ourselves in the position where we could try to sell the book to a major publisher… but only if we had a second book to go with it. I didn’t have much trouble with Goblin Hero, but then in the third book, I wanted to go back and tell the story of Jig the goblin’s forgotten god Tymalous Shadowstar. Which means all of the silly throwaway gags I had dropped into the first book suddenly had to make sense and fit into Shadowstar’s history. That was painful. The other two series flowed a bit better. I didn’t have a detailed plan for what would happen in the Princess books, but I had a vague idea where I wanted to end up and how the characters would develop over the series. I’ve been playing more with ongoing plot arcs in Magic ex Libris, setting things up in Libriomancer that don’t fully come out to play until the third or fourth books. There are always things I wish I could go back and set up or foreshadow differently, but Tymalous Shadowstar’s backstory was the biggest headache. AM: A lot of authors track their daily word–count or pages–written in order to determine a day’s work fulfilled. Given that your time between work and home is so constrained (down to lunch breaks! ), how do you measure your progress on any given project? What makes you feel like you’ve accomplished good work for the day? JH: Starting around June, I committed myself to writing two books in twelve months, which is something I’ve never attempted before. I talked to an amazingly prolific author friend to get her thoughts and advice. Following that conversation, I put together a spreadsheet of deadlines, drafts, and word counts to figure out whether or not I could realistically do this, and I determined that if I wrote at least 1500 words a day, every day for the next year, I’d be able to make this happen. I’m not sure I’d do this again, but I’m about halfway through and still on track. I’ve had to cut back in other areas of my life, but I think and hope it will be worth it. Just don’t ask me to do it again right away in 2014–2015! AM: Online, you’re outspoken against sexism in the SF/F and writing industry. What initially caught your attention about this issue, and prompted you to start speaking out about it publicly? For those who want to learn more about the state of the industry and some of the issues that still plague the field, are there any blogs or sites or books you’d highly recommend to keep up–to–date on developments and/or expand one’s awareness of the issues? Any advice you’d give to other male authors who would like to understand the issue better and get more involved in the solution, without accidentally contributing to the problem? JH: It goes back at least 25 years. I started talking to friends in early high school who had been raped. Around the same time, one of my friends’ boyfriends broke her nose. I started paying more attention to the dynamics between men and women, and to the violence that resulted from those dynamics. As naïve and simplistic as it sounds, I wanted to fix things. That meant listening, reading, learning, and speaking out. There are a ton of resources for those who want to learn more about issues of sexism and inequality in SF/F. There are individuals like N. K. Jemisin, Cheryl Morgan, Rose Fox, Seanan McGuire, Kameron Hurley, Tansy Rayner Roberts, Genevieve Valentine, and so many more. There are conventions like WisCon and Sirens and GeekGirlCon. As for advice, the biggest thing I’d suggest is a willingness to listen, and to be challenged on your assumptions. If someone calls you out on something they think is sexist or racist or whatever, I get that the initial reaction is to get defensive and argue. Try to learn to get past that. (And believe me, it’s never going to be easy.) You might not always agree, but you’ve got to be able to listen. AM: It’s a common staple for writers, when giving advice to new authors, to remind them that reading — and reading a lot — is incredibly important for improving their craft. So, with that in mind, what are you currently reading? Any recommendations, fiction or non–fiction, that you’ve found particularly fabulous recently? JH: Let’s see, I’m enjoying Seanan McGuire’s Incryptid series. 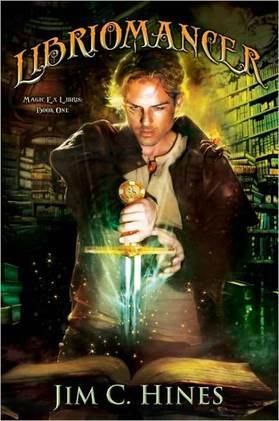 I listened to the audio book of Alethea Kontis’ Enchanted, and liked that a great deal. Paolo Bacigalupi’s new middle–grade title Zombie Baseball Beatdown is zany, thoughtful, pointed, antic–filled fun. I’m now starting in on Charles Stross’ Laundry books, and after that I’m hoping to read Morgan Keyes’ Darkbeast Rebellion. AM: Okay, a fun question now! If you could be friends with one fictional character, who would it be, and at what venue would you meet? I would make an excellent companion, and wouldn’t take up much room in the TARDIS. I’m fairly good at running away from things that want to kill me. Please pick me up at your convenience. AM: What, if you can say, can we look forward to seeing from you in the upcoming months and year? AM: It absolutely does! Thank you so much for lending us your time and thoughts, as well as for sharing “The Creature in Your Neighborhood” with us here at Apex!